Carrie Ann is one of the sweetest horses we have. She is a Belgian and a retired Amish carriage horse. Even though she’s been a draft horse pulling carriages all her life, she’s fine with people riding her too….even two or three people at a time! 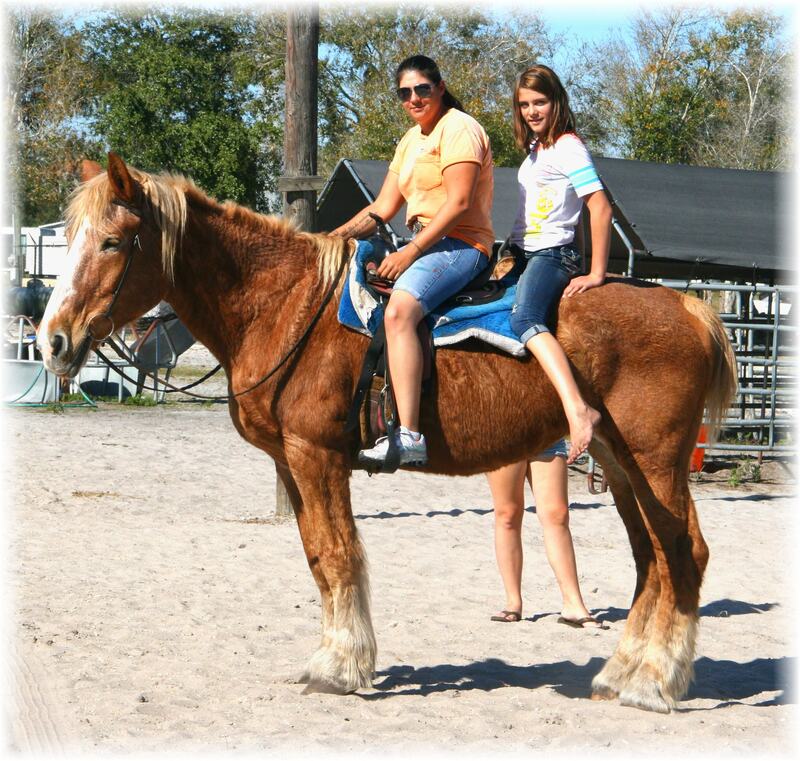 She’s very sane and safe, and trail riding with children is a breeze with her….but we only use her rarely because she is, after all, a senior citizen… Her main activity at Sun City Stables is to stand around and eat hay…and we make sure she can do that all day. She loves to be bathed, and when her pen is opened up she makes a bee-line for the water hose….and stands there until some nice person comes along and sprays her down! Carrie-Ann with Linda and Montana. 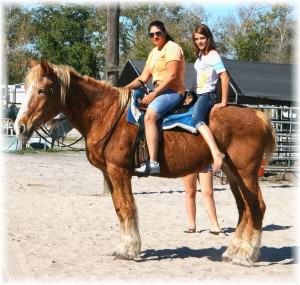 This entry was posted in Uncategorized and tagged child safe, Draft Horse, Trail horse.